Remember Me is a futuristic game set in Neo-Paris. The protagonist, Nilin, is up against a tyrant company, Memorize, with the technology to manipulate people's memory to their will. It is up to Nilin and her friends to fight against Memorize to break the bind it has on society. Remember Me is a third person action game developed by Dontnod and published by Capcom. The game is set in Paris. The player takes control of Nilin, an elite memory hunter who is not only incredibly athletic and trained in martial arts, but also has the special ability to access and modify people's memories. When her own memory is erased, Nilin begins her journey to reclaim her identity and discover how she can change the world. Originally, the title was announced at Gamescom 2011 under the name ADRIFT but had no publisher attached at that point. The game was re-revealed as Remember Me at Capcom's Gamescom 2012 press conference; it was released on June 4th in the US (a slight delay from the previous targeted 'May' release) and June 7th in the UK for PC, Xbox 360 and Playstation 3. Remember Me is part third person platformer and part brawler with a slightly heavier emphasis on combat. As Nilin you will follow a linear mission path through the appropriately renamed futuristic Neo-Paris. Gameplay breaks down into navigating your environment by means of various acrobatics such as jumping from ledge to ledge and climbing pipes in order to reach out of the way access points and get to your mission objective. As Nilin regains her memories and receives new upgrades for her remixing gauntlet light traversal puzzles are introduced in the form of hitting switches from afar or "pick socketing" locks in order to open locked down entry points. The platforming segments get broken up by intermittent fight sequences that get more complex as new enemy types requiring new strategies get introduced into the mix. Combat in Remember Me centers around the rhythmic input of custom made combos composed of "pressens." The process of customizing combos entails choosing which pressens to plug into a pre-existing combo structure of either X or Y attacks. Pressens are attacks that have different properties such as dealing extra damage, reducing cooldown on special abilities or healing Nilin, and are represented by either the X or Y button (Square/Triangle on PS3). The combo strings you unlock are static but the player has the choice of what type of pressen to use in each one. The later the attack figures into the combo the more powerful the effect - so if you want to have a strong healing factor you would place your healing pressen at the end of the string. This system allows you to customize your approach to battle, whether offensive, defensive, specializing in unique abilities or a mix of all three. In addition to regular combos Nilin will unlock a vast array of special abilities that can be triggered once a focus gauge is filled through the act of landing strikes in combat. These abilities such as an area of effect stun or a cloak work on cooldowns which can be reduced with the use of pressens. As the game advances you will be confronted with enemies that require Nilin to employ her various abilities in order to take them down. Lastly, Nilins remixing gauntlet will gain the ability to fire ranged projectiles that will not only serve in combat but also figure into many traversal puzzles throughout the story. During major story points Nilin will have the chance to "Remix" the memories of key plot characters. Remixing allows for changing the memories of a person so that they remember a different outcome of past events than that which actually occurred - usually one that will benefit Nilins cause. Once you access the memories of your target the player observes the entire memory from start to finish. After seeing the entire memory and how it played out originally, you scrub backwards looking for glitches and items to manipulate which could potentially lead to the desired end result. Each memory sequence has several glitches which do not lead to a successful remixing, but can often show a different outcome of events that is also worth investigating. Remember Me's traversal mechanics can be best categorized as On-Rail Platforming similar to games like Enslaved or the Uncharted series where you have to complete platforming sections but they are very linear in nature and your character tends to almost magnetically home in on ledges. Nilin possesses the typical gamut of abilities any third person action game protagonist does: climbing ledges, shimming along pipes, jumping from cling point to cling point etc. The path from A to B is usually very linear and apart from a few instances where you can stray from the pre-determined route to claim a hidden collectible you will not see any forking paths. That said, the traversal mechanics are fairly responsive and the camera often takes on very cinematic angles to highlight the gorgeous environments. The platforming sections are broken up by light puzzle elements. Nilins gauntlet gains unique abilities that allow her to manipulate the environment in various ways. One of the first abilities which she acquires let's her trigger switches and open doors from a distance. This ability also comes in handy when she faces enemies that are invisible until they stray into light - allowing her to turn on floodlights from afar while fighting off her adversaries. Gauntlet powers are unlocked through boss encounters, at the end of which Nilin upgrades her own gauntlet with the power of the person she just faced. Much like the very first upgrade, most of her gauntlet abilities double as offensive powers which can be utilized in combat. The protagonist, Nilin, was a memory hunter of the Errorist movement before she gets captured and has nearly all of her memories extracted. The Errorists oppose Memorex, a huge corporation responsible for inventing the Sensen devices which are capable of storing and recording memories. Errorists are lead by the mysterious Edge who is tired of watching people "forget" anything bad that happens around them and actively choose to live their lives in ignorance. As the plot progresses you uncover more details about why Edge so desperately opposes Memorex, the sinister plans the corporation has for their memory devices, and about Nilins past which she systematically reclaims throughout the story. Remember Me: Cubed is ten page one-shot comic book written by Matt Kindt and published by Dark Horse Comics which was only available to those who per-ordered the game. The comic book follows Nilin on a undercover mission to memorize her target in an high-society party until he was assassinated. Now she must manipulate the crowd to escape from being framed for murder. Remember Me: The Pandora Archive is an 130 page E-book written by Scott Harrison was released on Amazon Kindle on June 20, 2013. 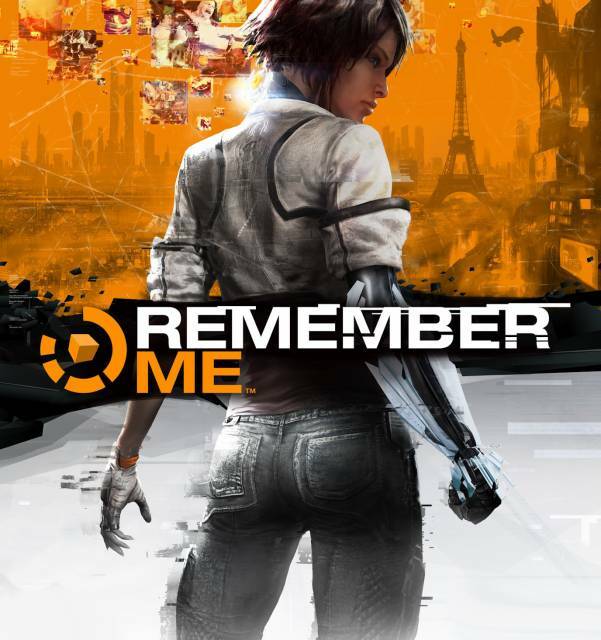 It is a prequel to the game set several months before Remember Me. The novel is set during a series of bombings in Neo-Paris killing innocent people, Trix Dallaire a former memory-hunter-turned Errorist is blamed by these attacks against the Memorize Corp. In retaliation they sent out for her arrest, however before her capture she manages to send a coded signal back to the Errorist. It is up to Nilin to decode the signal and search for the truth for her freedom. The Art of Remember Me is an art book for the video game written by Aleksi Briclot, Michel Koch and Jean-Max Moris and published by Dark Horse Comics. The art book includes 184 pages of Remember Me concept art and comments on the world and characters by the creators of the game.